Unify in Order to Play. Attracting Illusion. Power of Magic. Perpetual 13-day Wavespell. Last appearance from 5 until 17 March 2019. 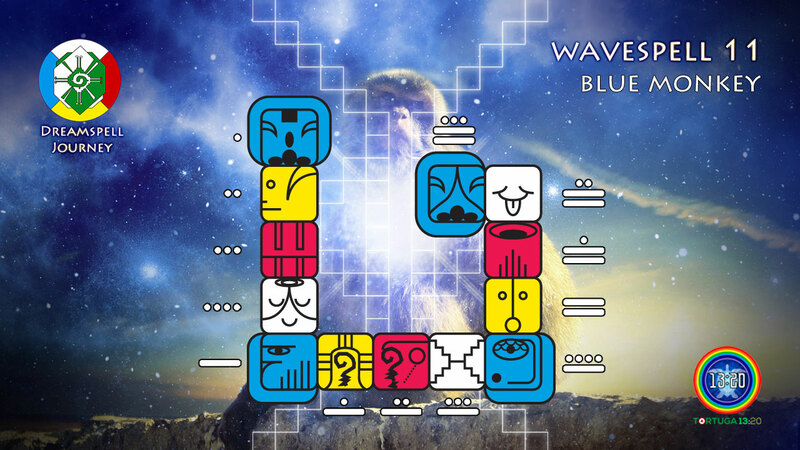 The Blue Monkey Wavespell is the 11th wavespell of the Dreamspell Journey and the 3rd wavespell of the Blue Western Castle of Burning, which is the Castle of Magic in the Dreamspell Count. This wavespell starts the Monkey Genesis at the centre of the Tzolkin, therefore it marks the Alpha Point of the second half of the Tzolkin. It also contains the second half the Central Harmonic 33 (the 2 last Kin 131 & 132). Furthermore, this wavespell marks the Omega Point of the Central Mystic Column 7 of the Sacred Tzolkin which closes on Kin 140. 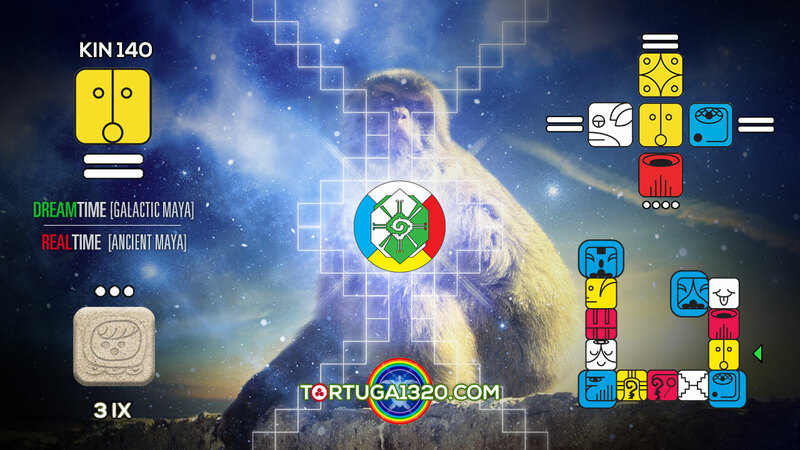 In the Dreamspell transcreation, the solar seal of “Monkey” is inspired on the Mayan glyph of “Chuwen”, which exactly signifies “Monkey” and represents the Twin Brothers of the Popol Vuh, the twin heroes in the Maya myth of creation. These step-brothers were changed into monkeys when they were in the Underworld of Xibalba. Due to this myth, the glyph of Chuwen or B’atz’ also symbolises the “thread and continuity of life”, the umbilical cord that nurtures and forms the human being during the approximated 260-day period inside the womb. This is the reason why the Sacred Tzolkin of the Maya descendants in the highlands of Guatemala, starts the count on 8 Chuwen (8 Monkey), which is named 8 B’atz’ in the Mayan K’iche’ language of Guatemala. This day is observed as the most sacred of the Tzolkin and it marks the Maya New Year, sometimes occurring twice in the Solar Year. In the Dreamspell, the Monkey seal has action of “Playing” just as the Popol Vuh’s heroes did as monkeys in Xibalba. The Monkey also has the essence of “Illusion” which was part of the survival strategy of the mythological heroes, in order to defeat the Lords of Xibalba. 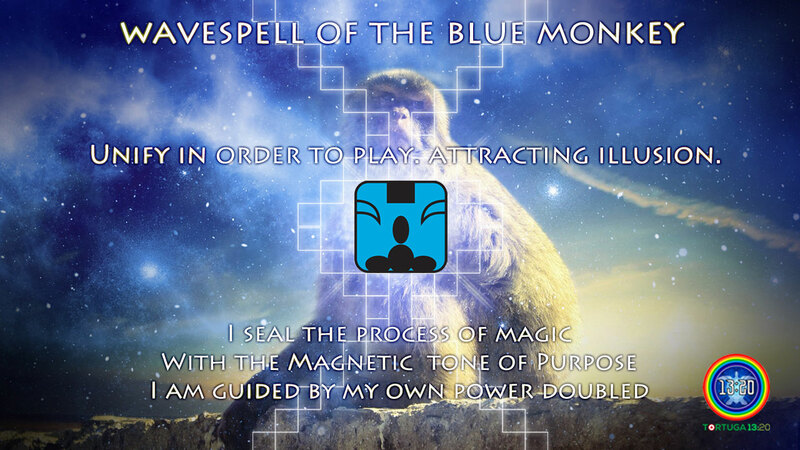 The Blue Monkey Wavespell represents the Power of Number 11 because Monkey is the Solar Seal number 11. This number is the base of relevant numbers such as 22, 33, 44, 55, 66, 77, 88, 99, etc. In the Christian tradition, the apostles of Jesus were described as “the Eleven” (after Judas’ betrayal). On the other side, the Maya King Pakal was the 11th ruler of the dynasty of Palenque. In the New Age numerology, the time 11:11 has been associated with synchronicity, and it has also being defined as the “Awakening Code” since the date 11 November 2011 (11.11.11). 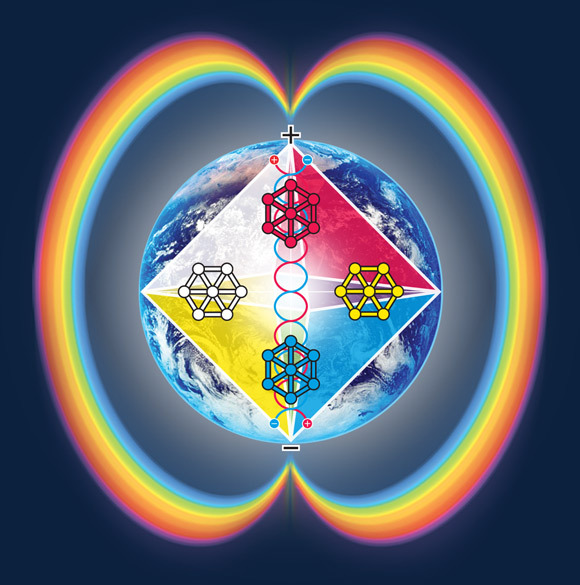 Within the context of matrix systems, the 19:19 Crystal Matrix represented the Power of 11 as a matrix by the first time through its “11:11 Inner Matrix” which builds the Crystal Merkaba and synchronises with the main “19:19 Outer Matrix” during the Solar Year. The same foundation sustains the OMG 33:33 Matrix which is composed of 9 matrices of 11:11 each (Original Matrix of Avebury). In the 13:20 Tzolkin Matrix, the Kin 121 which is 11×11 = 121, leads the Central Mystic Column and it was the same Kin of the Discovery of the Law of Time is Art by José and Lloydine Argüelles in 1987. Equally relevant, Valum Votan’s Kin 11 is coded 11.11 (Seal 11, Tone 11) and Bolon Ik’s Kin 22 is coded 11+11 (22). Since their combined power adds up to 33 (Kin 11 + Kin 22 – Kin 33), they also represent the Power of 11×3 = 33. Down below, the Prophetic Perspective by Tortuga 13:20, followed by the Original Affirmations and Codes of the Blue Monkey Wavespell by Valum Votan and Bolon Ik, the authors in Eternity. In Lak’ech. Kin 131 (Magnetic Monkey). 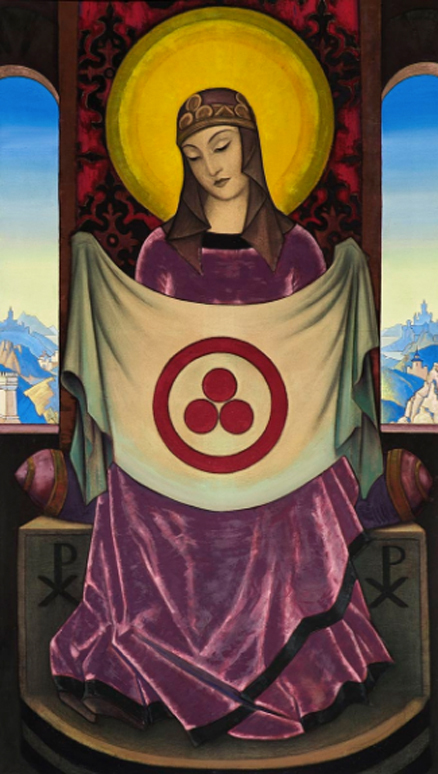 This is the Kin bearer of this Wavespell and it symbolises the double power of 11, that is the mystery of 11:11 at the heart of the Tzolkin and the Harmonic 33. This is because it codes the Wavespell Number 11 and also the Wavespell of Seal 11, therefore it codes 11:11. 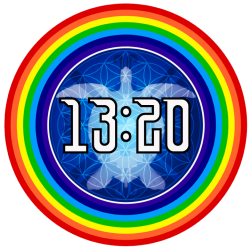 On the other side, Kin 131 is coded 11.1 (Seal 11, Tone 1), then it is a mirror of the Kin 11 of Valum Votam which can also be coded 1.11 (Wavespell 1, Tone 11). 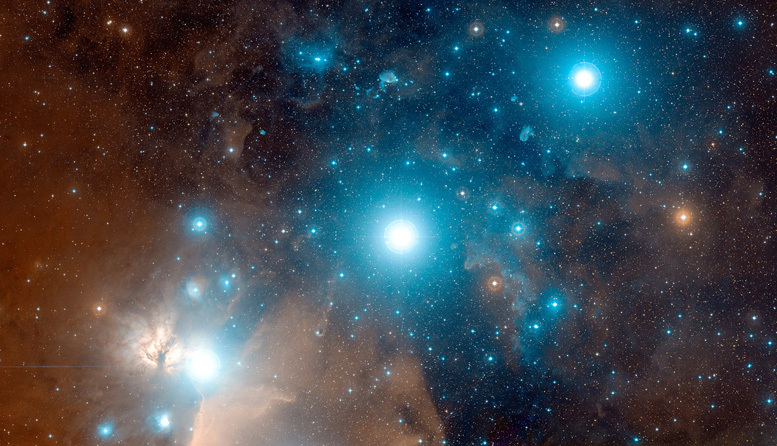 In the current 8th Moon of Integrity, Kin 131 is synchronising with Day 27 (9×3) which is Unit 27 of Telektonon and represents the last day of the “Heaven Walk” of the Archetypal Twins (Votan and Bolon Ik). Exactly, number 27 refers to Kin 27 which is the bearer of the Wavespell and Purpose of Valum Votan y Bolon Ik as Master Kin 33. Kin 132 (Lunar Human). This Kin is equivalent to the Mayan sign of 2 Eb’ (2 Sacred Path), which is one of the 13 Clear Signs inscribed on the sarcophagus’ lid of Pacal Votan, as established in “Telektonon: The Game of Prophecy” by Valum Votan and Bolon Ik (1994-1995). 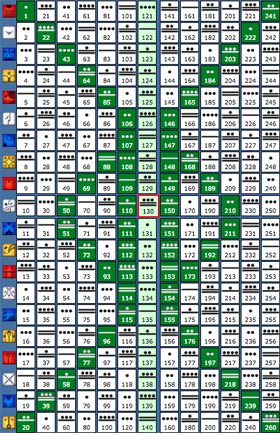 It is synchronising with 8 Kimi (8 Death) in the Maya RealTime, equivalent to Kin 86 (8 Worldbridger) in the Dreamspell. 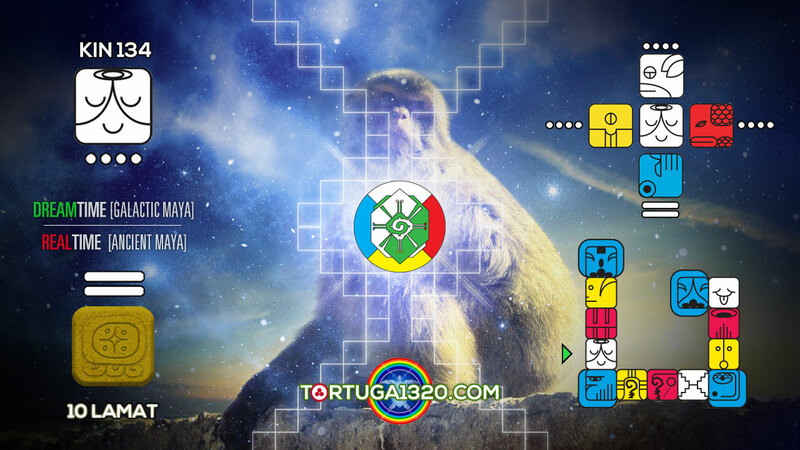 Then, the Unified Time is Kin 218 (132+86), the kin of the Discovery of the Tomb of King Pakal (Pacal Votan in Telektonon). 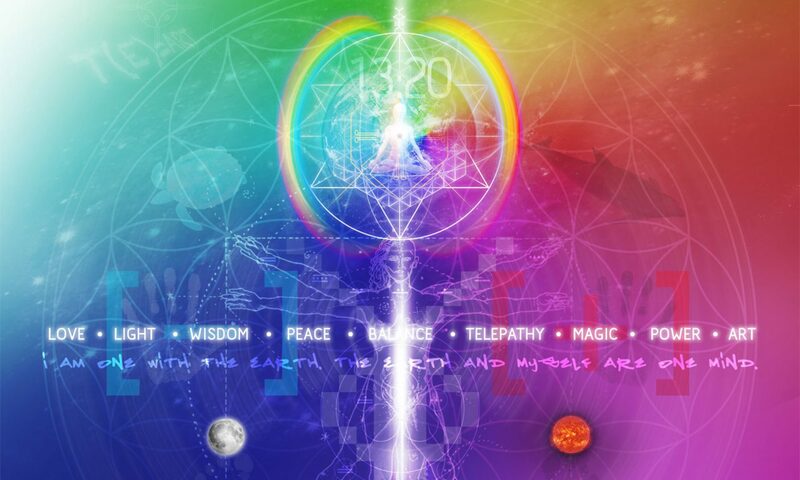 Kin 132 is the final Kin (Omega) of the Mystic Harmonic 33 and it is perfectly synching with the last Day 28 of the 8th Moon of Integrity (coded 8.28). Therefore, it also synchs with the Final Unit 28 of the Telektonon Matrix, which represents the Spirit Tower of the Wind, otherwise known as the Tower of Bolon Ik. Number 28 = 7+7+7+7 and it codes the feminine cycle of fertility. As a Divine Synchronisation of Integrity, this Kin 132 marks the “28th Tzolkin” cycle since the last “28th Meditation” of the legendary Earth Wizards Seminary 1999, dictated by Valum Votan and Bolon Ik in Chile. This last teaching was given on 11 December 1999 (Kin 132) and it was described as “Dreaming the Highest Dream.” (See the 28 Meditations). In the same way that Kin 132 marked the last 28th Meditation of the Earth Wizards under the influence of the Harmonic 33, the same Kin 132 (Harmonic 33) is marking the Final Day 28 of the 8th Moon of Integrity and the Final Unit 28 of the Tower of Bolon Ik. This is the Challenge and the Great Teaching of the final Kin 132 of the last Harmonic 33 of the current 13 Moon Year. Kin 133 (Electric Skywalker). This prophetic Kin marked the last 49th day (7×7) of the Earth Wizards Seminary 1999, the Spiritual Bardo teaching program dictated by Valum Votan and Bolon Ik in Chile. This last 49th day (28+21) took place on the date 12 December 1999 (Kin 133 = 19×7). 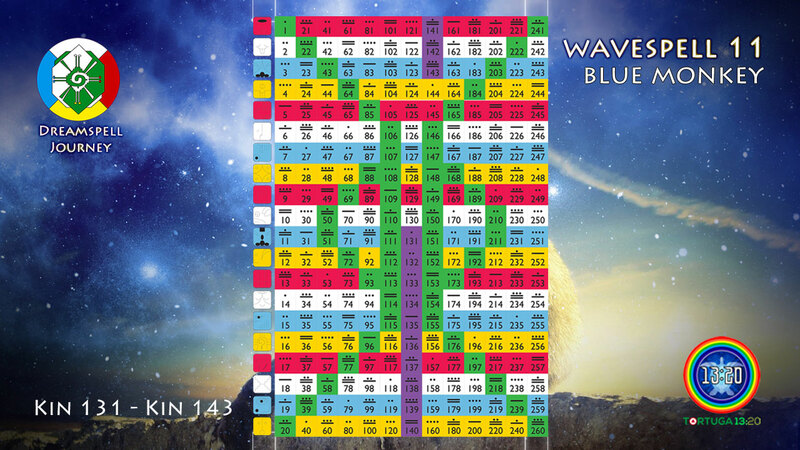 Precisely, Kin 133 is coded 11.3 (Wavespell 11, Tone 3), therefore it manifests 11×3 = the Power of 33. Exactly, this Kin opens the Harmonic 34, which contains the number that codes the Kin 34 of the Earth Wizard Count, the Dreamspell Count. This Kin 133 is synchronising with the Mayan sign of 9 Manik’ (9 Hand) in the RealTime, which is equivalent to Kin 87 (Solar Hand) in the Dreamspell Count. Therefore, the Unified Time is Kin 133 + 9 Manik’ (Kin 87) = Kin 220 (Crystal Sun), the Ascension Code of Lloydine Bolon Ik in the Dreamspell (Alpha Kin 22 + Omega Kin 198 = Kin 220), and it is also the solar-galactic Ascension Code of Valum Votan. The pair of Crystal Suns of the Harmonic 55 of the 5th Dimension of Prophecy. Within the context of the current Cosmic Moon Year, Kin 133 is the bearer of the 9th Moon of Intention. This Moon 9 is also coded by Kin 22 (Solar Wind) according to the “Tzolkin Count of Generations” which was initiated with the publication of “The 20 Tablets”, presented by Valum Votan and Bolon Ik in 1997. 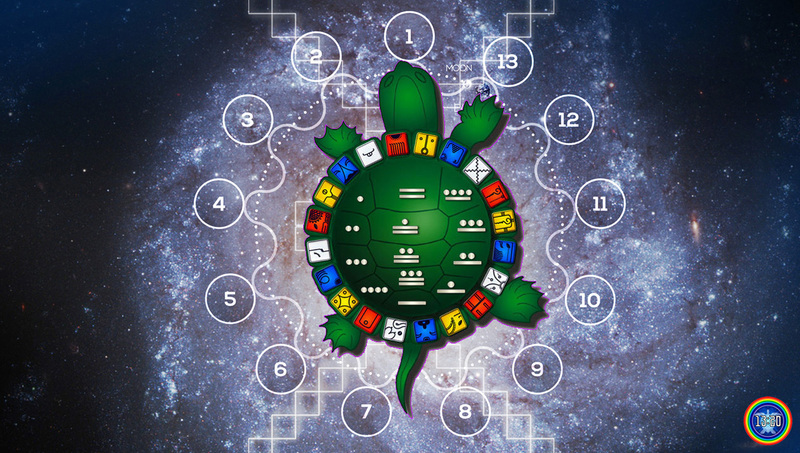 Let us remember that Kin 22 codes the birth kin of Lloydine Bolon Ik, as well as the birth sign 9 Ik of GI (God I), the main deity of the Classic Maya, the birth sign 9 Ik or 9 Ehecatl of Quetzalcoatl / Kukulkan, and it also contains the 13 Heavens and the 9 Underworlds (13+9=22) of the Ancient Mesoamerica Cosmic Axis. 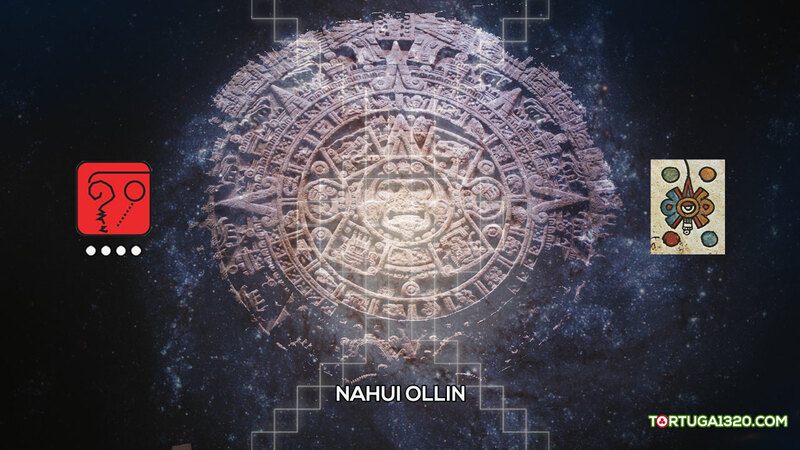 Therefore, the actual Solar Moon of the significant Cosmic Moon Year, is guided by the Kin 133 that marked the 49th day of the Spiritual Bardo teaching of Valum Votan and Bolon Ik (Earth Wizards 1999), as well as it is coded by the White Solar Wind (Kin 22) of the Galactic Maya Prophecy. Original Affirmations and Codes by Valum Votan and Bolon Ik. 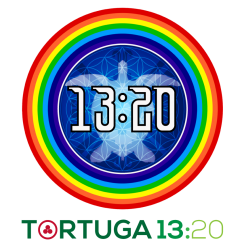 Powered and Edited by Tortuga 13:20. – Tzolkin: Day 131. Mystic Column 7 of the Self-Existing Dragon. – Wavespell of the Blue Monkey: Day 1. – Magnetic Gate (Tone 1): Identify Purpose. – Blue Western Castle of Burning. Court of Magic. – Galactic Season of the Sun: Yellow Fire. Power of Universal Fire. – Blue Family of the Blue Root Race. – The Transformers. Key note: Abundance. – Cardinal Family: Establish the Genesis. – Position: Throat. Action: Transmit. Original Sacred Count of the Maya. – Chikchan = Serpent, Rain Season. – Tzolkin: Day 132. Mystic Column 7 of the Self-Existing Dragon. – Wavespell of the Blue Monkey: Day 2. – Lunar Chamber (Tone 2): Identify the Challenge. – Yellow Family of the Red Root Race. – The Ripeners. Key note: Flowering. – Core Family: Mine the Tunnels. – Position: Heart. Action: Transduce. – Tzolkin: Day 133. Mystic Column 7 of the Self-Existing Dragon. – Wavespell of the Blue Monkey: Day 3. – Electric Chamber (Tone 3): Identify the Service. – Red Family of the Red Root Race. – The Initiators. Keynote: Birth. – Signal Family: Unravel the Mystery. – Position: Solar Plexus. Action: Receive. – Tzolkin: Day 134. Mystic Column 7 of the Self-Existing Dragon. – Wavespell of the Blue Monkey: Day 4. – Self-Existing Chamber (Tone 4): Identify the Form. – White Family of the White Root Race. – The Refiners. Keynote: Spirit. 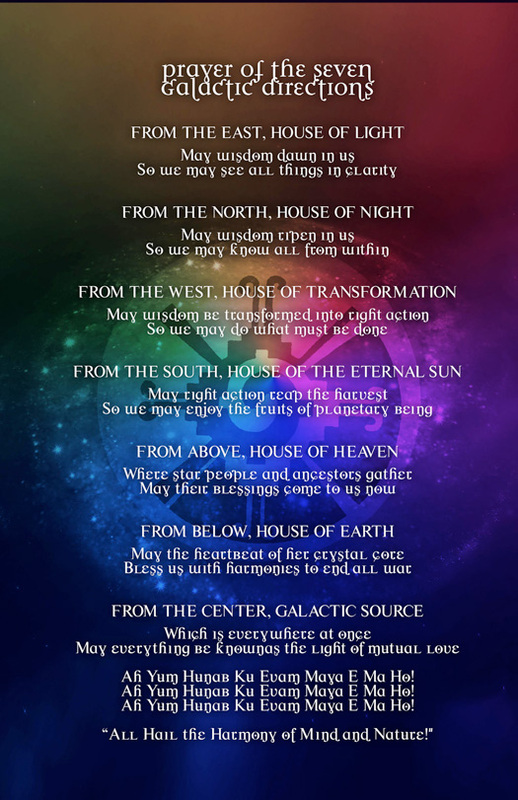 – Gateway Family: Open the Portals. – Members: Yellow Seed, Red Moon, White Wizard, Blue Storm. – Position: Root. Action: Transmit. – Lamat = Venus, Rabbit, the Four Seasons. 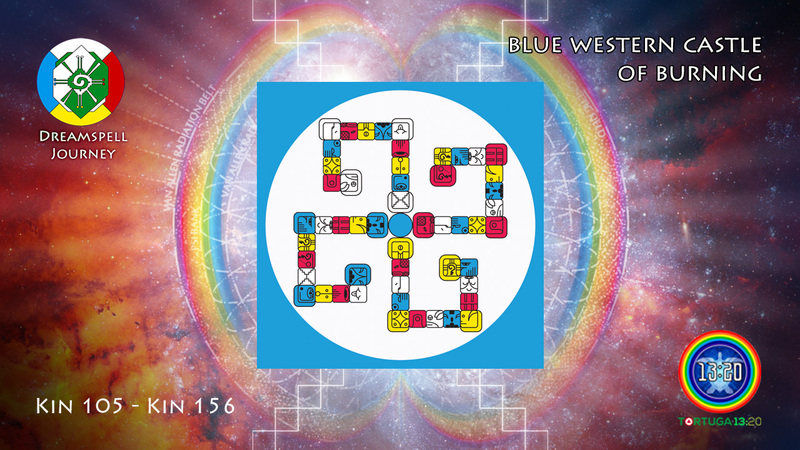 – Tzolkin: Day 135. Mystic Column 7 of the Self-Existing Dragon. – Wavespell of the Blue Monkey: Day 5. – Overtone Tower (Tone 5): Take Command. – Polar Family: Sound the Chromatics. 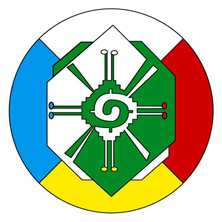 – Members: Yellow Sun, Red Serpent, White Dog, Blue Eagle. – Position: Crown. Action: Receive. – Tzolkin: Day 136. Mystic Column 7 of the Self-Existing Dragon. – Wavespell of the Blue Monkey: Day 6. – Rhythmic Chamber (Tone 6): Command Equality. – Ok = Dog, Guide, Friendship, Fidelity. – Tzolkin: Day 137. Mystic Column 7 of the Self-Existing Dragon. – Wavespell of the Blue Monkey: Day 7. – Resonant Chamber (Tone 7): Command Attunement. – Chuwen = Monkey, Popol Vuh’s Step-Brothers, the Thread and Continuity of Life. – Tzolkin: Day 138. Mystic Column 7 of the Self-Existing Dragon. – Wavespell of the Blue Monkey: Day 8. – Galactic Chamber (Tone 8): Command Integrity. – Eb’ = Road, Sacred Path, Dew. – Tzolkin: Day 139. Mystic Column 7 of the Self-Existing Dragon. – Wavespell of the Blue Monkey: Day 9. – Solar Tower (Tone 9): Formalize Action. – B’en = Reed, Green Corn. Trees. I am a polar kin. I extend the yellow galactic spectrum. – Tzolkin: Day 140. Mystic Column 7 of the Self-Existing Dragon. – Wavespell of the Blue Monkey: Day 10. – Planetary Chamber (Tone 10): Manifest Challenge. – Yellow Family of the Yellow Root Race. – The Ripeners. Keynote: Flowering. 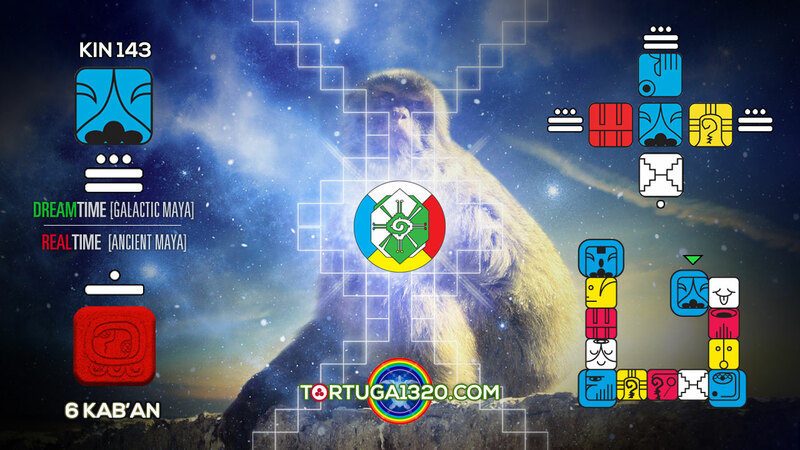 – Ix = Jaguar, Shaman, Woman, Feminine Prefix. – Tzolkin: Day 141. Column 8 of the Spectral Dragon. – Wavespell of the Blue Monkey: Day 11. – Espectral Chamber (Tone 11): Liberate Service. – Men = Eagle, Birds, Supernatural Birds. – Tzolkin: Day 142. Column 8 of the Spectral Dragon. – Wavespell of the Blue Monkey: Day 12. – Crystal Chamber (Tone 12): Cooperation of Form. – Kib’ = Wax, Bee. Owl or Bird of Prey. Sin and Forgiveness. 17 March 2019 ~ NS 1.31.9.11 ~ Final Day 13: Magic Flight! – Wavespell of the Blue Monkey: Final Day 13. – Cosmic Gate (Tone 13): Take Magic Flight! – Kab’an = Earth, Thought, Knowledge. In Loving Memory of José and Lloydine (Valum Votan & Bolon Ik), Mother and Father of the Planetary Kin, Ascended Masters of the New Time. Authors in Eternity of Dreamspell, Telektonon, 13 Moon Calendar, The Discovery of the Law of Time, The Galactic Culture Master Plan, The 28 Meditations on the Law of Time, amongst others. 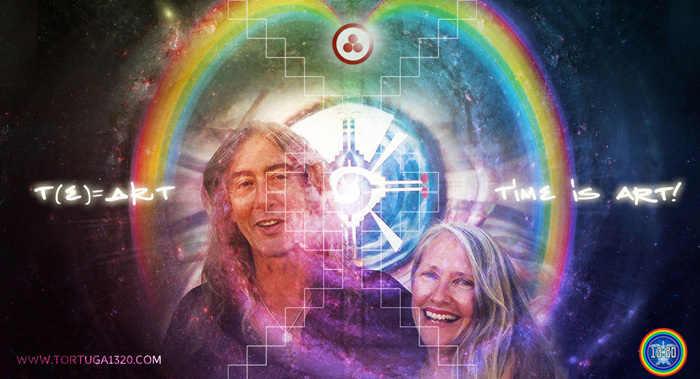 Founders of the Planet Art Network (PAN), Harmonic Convergence, Day Out of Time, Rinri Project, Foundation for the Law of Time and The World Thirteen Moon Calendar Change Peace Movement. 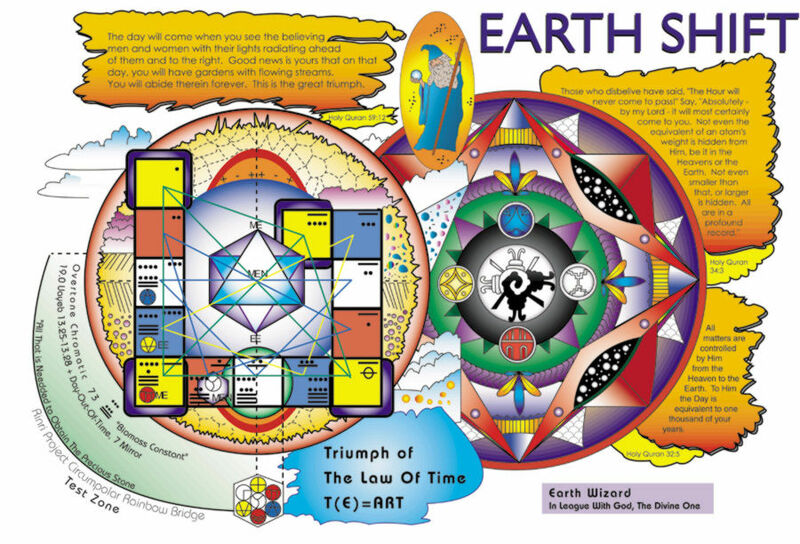 “Dreamspell: The Journey of Timeship Earth 2013” (1990-1991). By José and Lloydine Argüelles (Valum Votan & Bolon Ik).